The one issue that is still a significant challenge is multi-vendor videoconferencing. I recently spoke with an IT leader from a fairly large company who expressed his displeasure with the video industry. He said it should be more like Ethernet where when things are plugged into one another, they just work. My first thought was how could he be so naïve. But then I thought, why shouldn’t it work that way? Isn’t that why the industry has standards—so things interoperate? The fact remains that vendors haven’t really committed to driving standards to where they need to be, and video interoperability is still much harder than it needs to be. That seems to be changing. 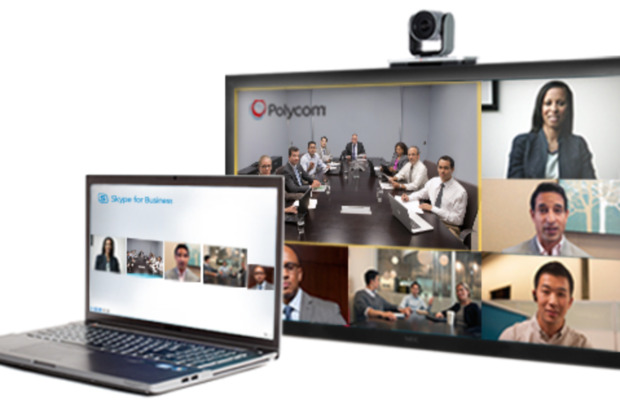 This week at the InfoComm show, the industry’s largest show dedicated to audio-video resellers, Polycom announced an update to its multi-vendor interoperability solution: RealConnect. For those not familiar with RealConnect, it’s one of Polycom’s better-kept secrets. It doesn’t have the end user appeal and sizzle of something like its new Trio or Centro units, but it is a very strategic product. RealConnect enables Microsoft Skype for Business users to connect video calls across multi-vendor environments. The solution is the only video interoperability solution qualified by Microsoft that lets users connect to Polycom and Cisco endpoints. RealConnect also supports a wide variety of endpoints, ranging from voice to desktop-based video to immersive telepresence suites. From a user perspective, the experience is about as seamless as can be. The worker would stay in the Skype for Business client and join other vendor solutions through a single mouse click or the tap of a mobile device. You don’t have to dial out to external menus or use special dialing codes that no one can ever seem to remember. Ultimately this lets workers start meetings and get to work faster instead of having to fiddle with the technology. Another feature of RealConnect that makes the user experience better is how scheduling is handled. There’s no custom scheduling tool or separate system. Instead, all participants are invited to join meetings by using Microsoft Outlook, exactly the same way they would set up a Skype for Business call. In this release, Polycom has added two important features to enhance the experience. The first is that the client now includes multiple viewing strips across the screen, including a panoramic wide shot of dedicated immersive suites. The “active” speaker is chosen regardless of which strip the user was originally in. Also, this version includes expanded roster view and control. This can be particularly useful for meetings that have voice-only participants. With video, it’s easy to see who is on, but with voice it’s very disruptive to have to ask “Who just joined the call” every minute or so because people can’t be timely. The use of Skype for Business has exploded over the past few years, and many customers are thinking about adding video to the mix. However, most companies already have some kind of investment in video technology, which historically created quite the conundrum. Keep the existing technology and have two separate environments, or throw away the stuff and buy new video endpoints. Polycom RealConnect lets customers have both. Use Skype for Business but then be able to connect into the existing video systems, giving businesses the best of both worlds.